Recently I hit 2000 followers. Which was a really weird feeling. 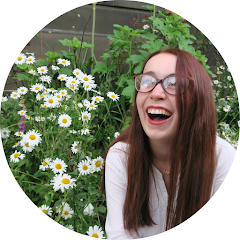 When I started this blog three and a half years ago I didn't think anyone would read it. Never mind 2000 people. It may not seem like a lot when some bloggers have hundreds of thousands of followers but to me it seems insane. When I picture 2000 people all standing together in one room it seems like an awful lot of people. Blogging is my main hobby and I love it. Some times it's hard to explain to people and not everyone will understand why I spend so much time doing this but I love it and do it anyway. When I look back over the last three years I have came so far. I've been to all sorts of cool events, met amazing people, been sent some awesome PR samples and best of all get so much support and so many comments from the lovely people who follow my blog. Whilst it's been difficult at times and I've considered throwing in the towel, I haven't just yet and I am so happy with my progress. Tomorrow as an extra special thank you I will be launching by 2000 followers giveaway and I think you will all love the prize. So be sure to come back tomorrow at 10am. You can make the best friends blogging - I have met soooooo many amazing people through blogging. It's weird to think back to my first blogging event where I was so worried about going and speaking to other bloggers at the event. I can't even remember the last time that I went to a blogging event where I didn't know anyone there. The Edinburgh/Glasgow blogging communities are so amazing and I love getting the chance to hang out with such an amazing bunch of ladies. I've also got a lot of blogging friends that I've never met but chat to a lot. This year I got to meet both Beth from Alphabeth and Jess from Gingerly Pale as they both visited Edinburgh. Nothing is confirmed yet but I've been looking at flights to go and visit Beth as she is working in Spain this year! Blogging is not always easy and it takes a lot more time than you would think - I have a few IRL friends that have tried to start their own blogs. And none of them have stuck with it. Do you know why? It's a lot of work. I think a lot of people see my blog now and assume that its always been this way. I'm lucky to have quite a high following and get sent lots of amazing PR samples etc. But the reality is that I was blogging for over a year before anyone ever offered me any 'freebies' and I probably spend a minimum of about 15 hours a week working on my blog. It is in itself a part time job. In fact, keeping on top of my inbox is hassle enough. I don't want to seem like I'm complaining because I do love it and I wouldn't do it otherwise but I think some people think that blogging is really quick and easy and fun. There is no snowball effect - For some reason I thought that there would be a snowball effect with blogging. I thought that when I hit a certain number of followers that my blog would suddenly start to grow much more and that I would have to put a lot less effort into promoting my blog as people would find it on their own etc. I could not have been more wrong! I thought that it would happen when I hit 1000 followers which is actually laughable. If this number exists then I still haven't hit it. I've actually found that the bigger my blog has gotten the more I have to promote it to gain new followers etc as you have to constantly push to increase the audience you're reaching. It's still worth all the work though! Generally, people who complain about blogging drama, attract the blogging drama - I've been blogging for 3 and a half years and I've gotten into an arguement with a blogger on Twitter once. And you know what? I don't regret it because she was being homophobic and I can't ignore it. I've seen a lot of blogging drama in my days(jeez I sound old) from Twitter spats to the big Guru Gossip fiasco. And even more now I see a lot of people moaning during the Twitter chats. I know it sounds harsh but after a while you begin to notice that it's the people who complain constantly about drama that attract it to themselves. If you want to start a blog but are put off because of the 'catty' element to it then I wouldn't worry at all because the best way to avoid blogger drama is to stop starting it! Yes sometimes other bloggers aren't very nice or do things that annoy me but I keep my thoughts to myself and I get on just fine. People won't always understand what my blog's about or why I blog. But that's ok! - When people I know in real life find out about my blog they normally have a ton of questions. Mainly what is your blog about and why do you blog? And to be honest I find it really difficult to answer these questions, especially when the person that I'm talking to doesn't really understand how blogs work or just how big the UK's blogging community actually is. I've never had anyone say anything particularily nasty about my blog but sometimes it's obvious that people find it a bit weird. And that's ok! Everyone has their hobbies. Like for example, I have no idea what compels people to watch football matches because I find it really boring but I would never try and tell someone who loves football that their hobby is invalid. Everyone enjoys different things and it's ok to have hobbies that aren't as common. How long have you been following my blog for? 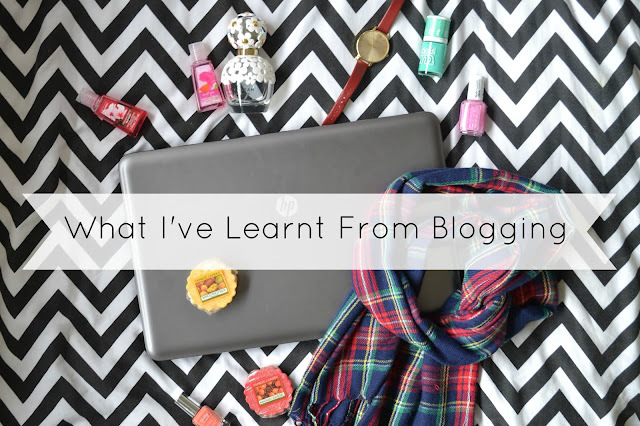 And what have you learnt from blogging if you write a blog yourself?